Good morning from our soggy farm! Went out @ 0854am to feed up this morning- everyone was very calm and watchful- even fussy LUCY! Who’s safety parameter is usually 4-5′ preferably 20′! It was a little gusty some ☔️ but cooling and nice really. The trees were blowing a little with a LOUD whisper. Not howling yet. Barney and Bodley roosters were taking a leisurely stroll, trolling for morsels of goodies. They are now back in the barn – funny how they all become a peaceable kingdoms before a storm – I call it the Ark syndrome .. but was ARE magisark! Hah! 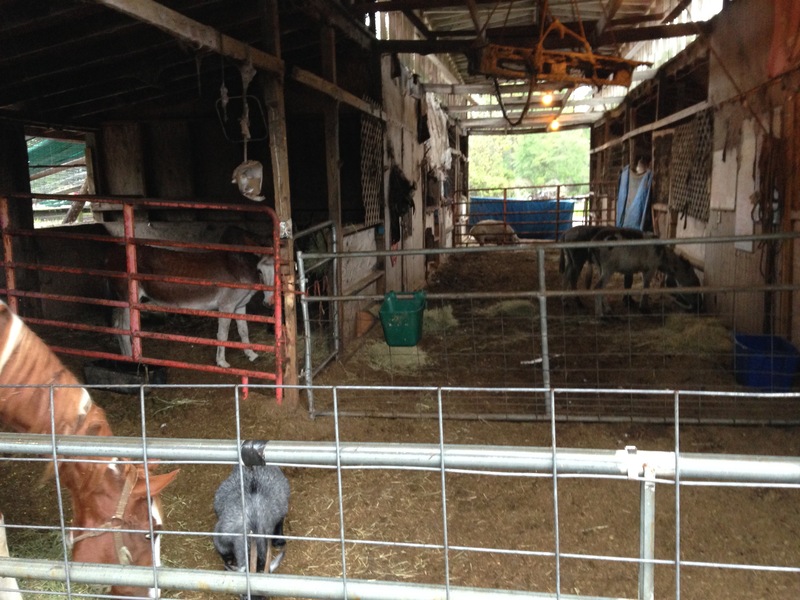 Divided up the aisle so Lucy could still have her space and an out thru the back gate if she wants- but she never ventures far from Elam who is in the stall by her end of the barn- I feel MUCH better having moved the big boy Donks- Stone and Yule, into the barn as well. Their stall in the little barn was too exposed- they went right in and hunkered where I wanted them. It always pleases and amazes me how they listen and obey your every wish, understanding your efforts and wants of them during times like this. We LOVE you all!! Be safe be smart and KEEP PRAYING FOR US PLEASE! As always , it’s working!